Have this app on both my iPad and iPhone. On the iPhone the beads are on the right hand side of the screen but on the iPad they are on the left hand side of the screen. Like I said in the title of this review, I’m not left handed so it’s not easily usable on my iPad. I did not notice in the settings if there is a way to adjust where on the screen to locate the rosary beads. Is there? If there is, how do I do it? If indeed there not, maybe on the next update you should put in a way to make such an adjustment. Just some food for thought. Have a great day! Keeping track of where I was has always been a bit of challenge throughout my day. This app has solved that. Loved the positioning of the rosary, the feedback and even the ability to customize the rosary. Thank you for building this! 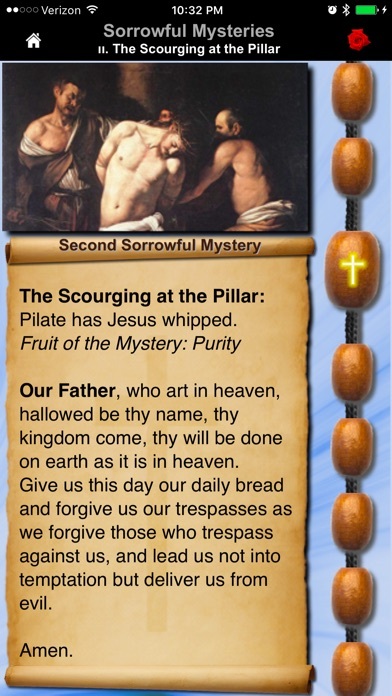 Love this rosary app. Always ready when I am ready to pray the rosary. 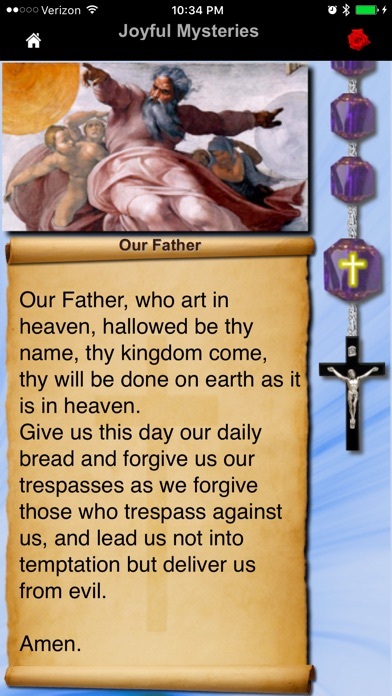 For example, am traveling by car as a passenger and have just used the app to pray my rosary. Love having the visuals of the mysteries.Love the counting of the Hail Marys and other prayers as you say the rosary. Great that it has additional prayers included. 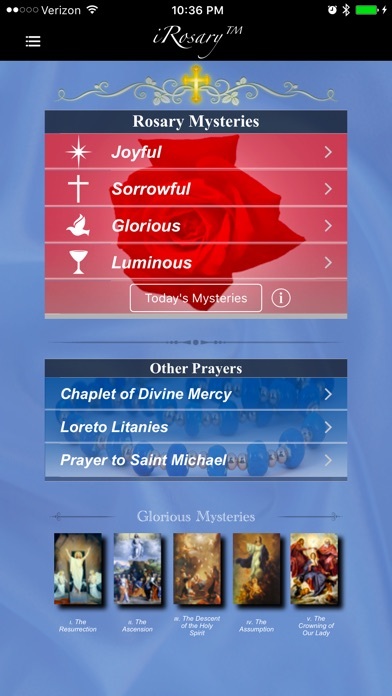 I love this app as my rosary is always with me. Reading prayers as I pray helps me concentrate. Have used it for several years. Great when traveling as it holds your place. Very well designed. Tip - you can slide the rosary beads from left to right at will if you want to switch hands. 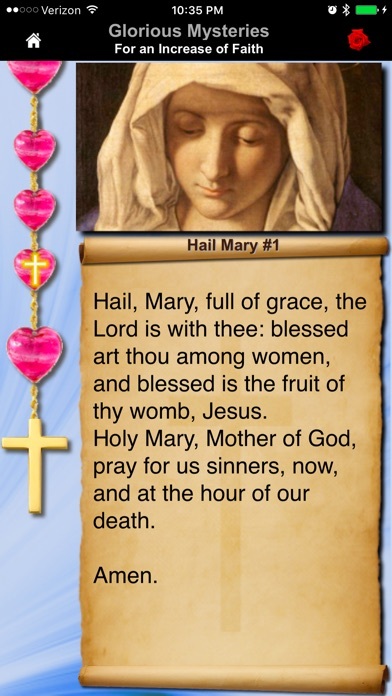 I shamefully admit that I have yet to memorize “The Hail, Holy Queen” prayer, The Loreto Litanies and often forget The Chaplet of Divine Mercies. Truth be told, at 44 years old I still forget a lot of responses at Mass and have a cheat book. I’m not surprised considering I have called people my dogs name instead of their name. My dogs name is Mayo, so it’s very awkward. 😂. 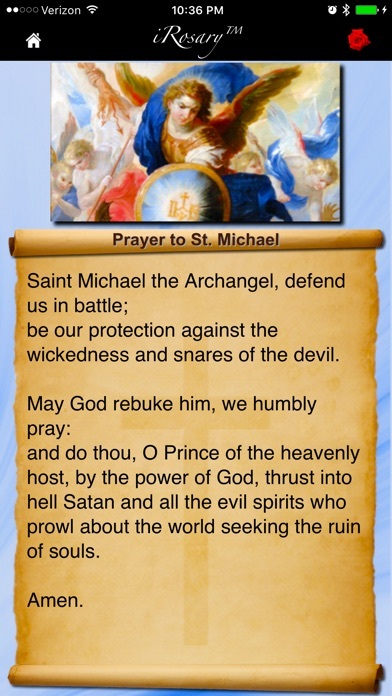 This app allows me to do the rosary wherever I am, it goes smoothly as I don’t have to stop and look up prayers I’ve forgotten and it is just a great tool to have. Thank you for your dedication to providing others with something so special. God Bless You.